The world would end in 1492 - so the prophets, soothsayers and stargazers said. They were right. Their world did end. But ours began. 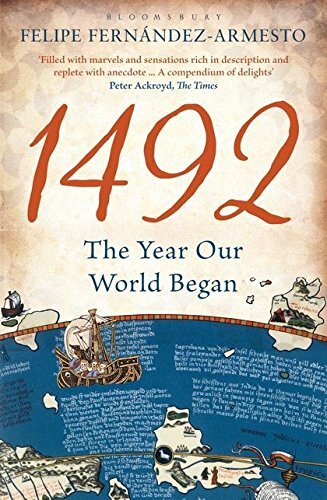 In search of the origins of the modern world, 1492 takes readers on a journey around the globe of the time, in the company of real-life travellers, drawing together the threads that began to bind the planet: from the way power and wealth are distributed around the globe to the way major religions and civilizations divide the world. Events that began in 1492 even transformed the whole ecological system of the planet. Wars and witchcraft, plagues and persecutions, poetry and prophecy, science and magic, art and faith - all the glories and follies of the time are in this book.